During a recent marathon bookstore-hopping session I came across some unusual pencils. 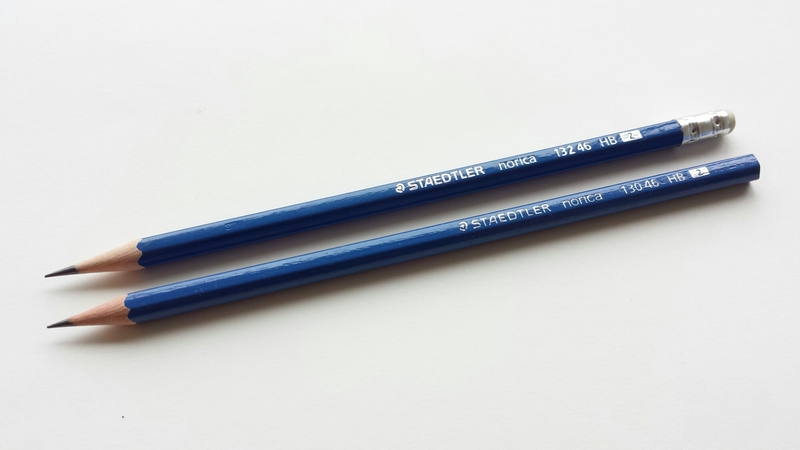 In general, the pencil pickings in this country are pretty poor; in ordinary mom-and-pop stores it’s usually some vile Evolution-like green thing on offer, and at the better stationers they stock Faber-Castell Goldfabers and Staedtler Traditions. That’s about it. Not even the standard Castell 9000 or the Mars Lumograph can be easily found. 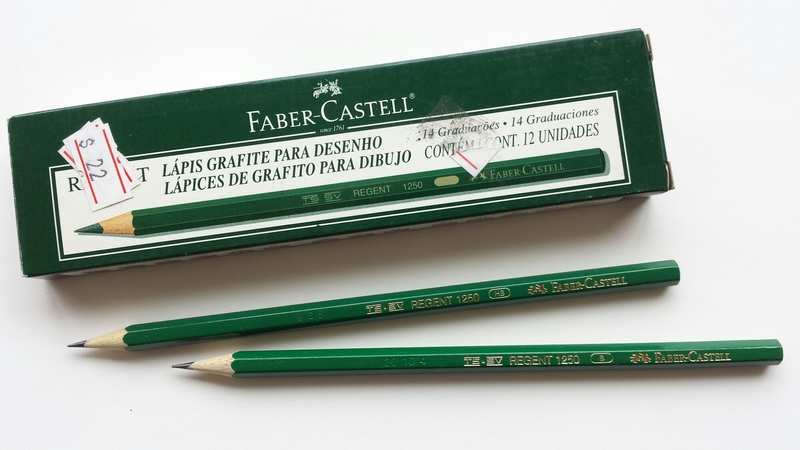 Given this situation, you’d think the Brazilian subsidiary of Faber-Castell would be a big presence here, and it certainly is for colored pencils, but for some reason graphite pencils, especially ones just a couple of rungs higher than the neon Grip 2001 variants, are difficult to locate. 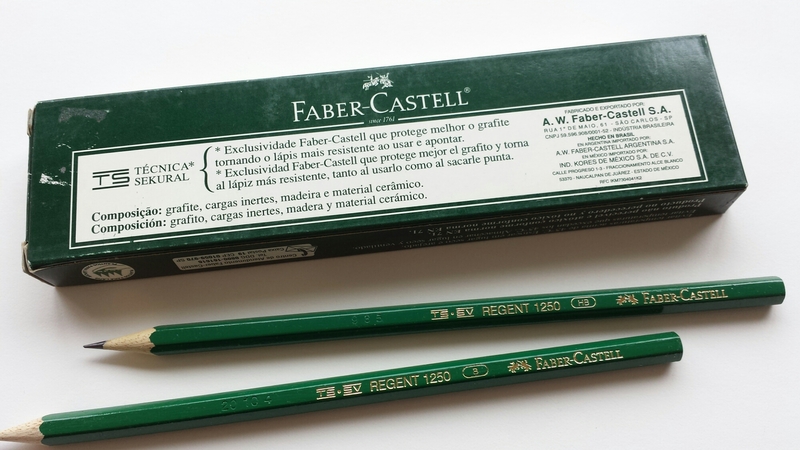 It was therefore a pleasant surprise to come across some Brazilian-made Faber-Castells in a proper box. The model name, Regent 1250, is unfamiliar to me and so I don’t know where they are supposed to fall within the spectrum of local FC offerings, but they don’t seem like total cheapies. The ends are scrupulously dipped, and the lead writes smooth and soft, slightly darker than the original Castell 9000’s. 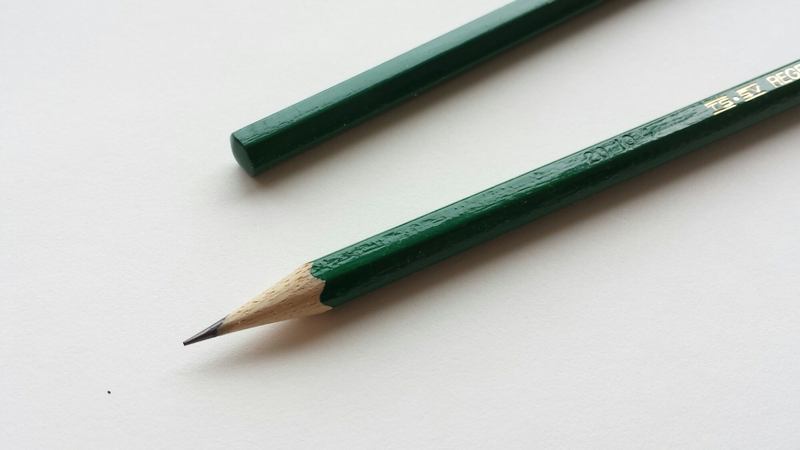 It’s interesting that the body color is not the usual dark pine-green you associate with modern-day Faber-Castell but something closer to the olive green of yesteryear. Also, Faber-Castell seems to have a local quality designation apart from the usual “SV” (maybe it’s just a translation?). However, on a recent return visit to San Pedro de Timote, I came across an article in the American Hereford Journal on appropriate woods for fenceposts, and it gave me some perspective. As you may know (or not – I didn’t), maintaining good fences around his pastures is one of the top priorities for a rancher, since, apart from the obvious problems of theft and escape, raising a purebred herd is all about planned parenthood, which means ensuring that none of your Hereford girls have a sliver of a chance of meeting an unknown bull. Which is where fences come in. The article listed around a dozen different kinds of wood, and cedar was one of the top three candidates, capable of giving nearly thirty years of service in its untreated state. The woods at the bottom of the list (ash or some such) could only manage a paltry seven on average. Considering that the same trunk could be chopped up to stand sentinel in the fields, come rain or shine, for thirty years, or grace a room for half a century or more as a heirloom cabinet, or be converted into several hundred boxes of pencils to be whittled away: which is better? Nowadays even old barn doors and fences are said to be repurposed to make vintage-looking furniture. Good wood has a surprisingly long life. On the one hand we are fortunate that red cedar was once considered so plentiful, and that manufacturers of that time left some extraordinary specimens to be admired and emulated. But on the other hand it certainly was an unsustainable luxury. But should this warrant such a steep descent as with this Regent 1250? One of the main reasons FC maintains production facilities in Brazil is surely because of the plentiful supply of wood, and even here in neighboring Uruguay you notice how easy it is to grow and maintain forests here, given the temperate climate and abundant rainfall. 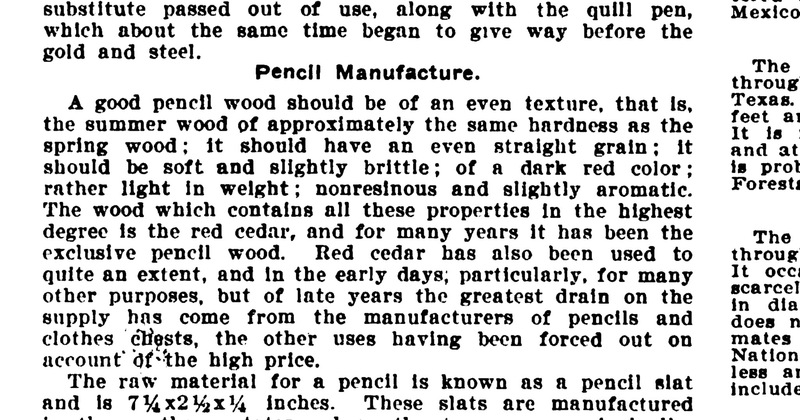 I’m all for making pencils where it’s easy to make them, but please, let’s try to grow the right kind of tree. The Regent has a perfectly decent core, but the wood lets it down too much. 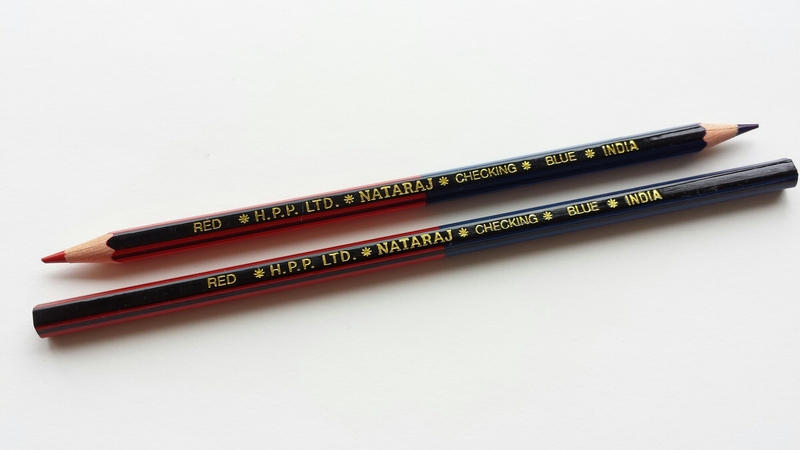 That day I also scored a couple of red-and-blue Nataraj “checking” pencils. I now have positive proof that Nataraj pencils exist on this continent.